Charles C. Gilbert’s Success Without Soil endures after 65 years. Success Without Soil: How to Grow Plants by Hydroponics by Charles C. Gilbert. Charles C. Gilbert Company, 129 pp. [second edition, 1949]. Dad saw an opportunity—this was modern farming. The future, in fact: all variables were under control. 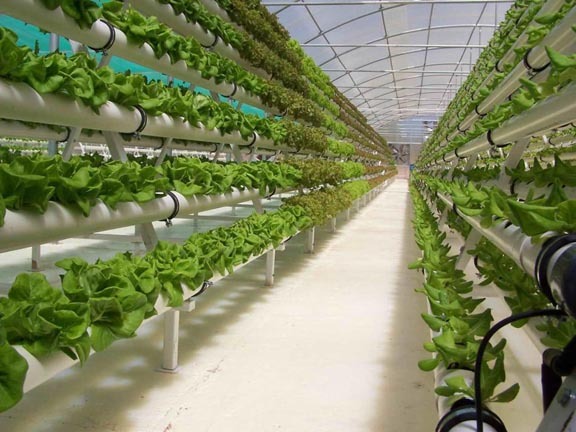 Hydroponics could be done anywhere by anyone, and hydroponic farmers would need to buy products constantly. Upon his discharge, he returned to La Jolla, California, and set up a greenhouse at home. With two friends, he started a business in San Diego selling a hydroponics fertilizer. He wrote and published his guidebook to promote the sale of his Nutrient Formula. Success Without Soil hypes hydroponics yield, nutrition. Soil-less-grown plants out-yield those grown in soil by ten times, the book reports. Perfect soil is rare, Success Without Soil observes, and much farmland is so worn out and abused that the crops produced are unfit nutritionally. “It is necessary to fertilize, cultivate, irrigate, rotate, pray and perspire,” Dad writes, “in order to keep good soil fertile or to improve worn out soil.” Furthermore, diseases lurk in soil and often kill tender seedlings. Growing up, I’d spy the green leatherette cover of Success Without Soil in Dad’s bookshelf, pull it down, and start turning its glossy pages—Dad had paid for the best paper stock—intrigued by photos of the Japan facility and enthralled by photos of him working in his greenhouse in California years before my birth. In one photo he’s inspecting tomato plants while dressed in a tuxedo; the tux presumably symbolized how clean and easy this way farming was, though I imagined he’d just come from a party, since Mom always told me those were his wild partying years. I’ve only just read Success Without Soil from start to finish for the first time, impressed with Dad’s sentences, his expertise, his service ethos, and his persona. I recalled that Dad’s authorial persona was confidential, humorous, and self-deprecating, but this time I was surprised by how he tailored it to his presumed audience. For instance, he launches a brief, jokey attack on organic growing, surely assuming that his readers would expect or enjoy it. And there’s one reference to the Japanese as “Nips,” hardly the worst slur they suffered but astounding to me from a man who’d raged when he heard me, as a boy playing war, call my opponents “Japs”—like I’d heard on TV. While he didn’t have a smidgen of guilt for bombing them, he honored the Japanese, seeming to respect their discipline. I also noticed a reference to my mother, who apparently typed the book, and I had to smile because the advice he’s dispensing was always her caution to him: “[S]tart small, start small, start small, start small, start small, start small—I would keep that up for twenty pages if I wasn’t afraid of having Rosie throw the typewriter at me.” Dad was completely unable to follow this path himself, and lost a small fortune cattle in ranching and in leisure pursuits that usually involved buying boats, racecars, and airplanes. An introvert who avoided socializing, in Success Without Soil he’s amazingly there for his readers, offering to send them additional information and corresponding with numbers of them. 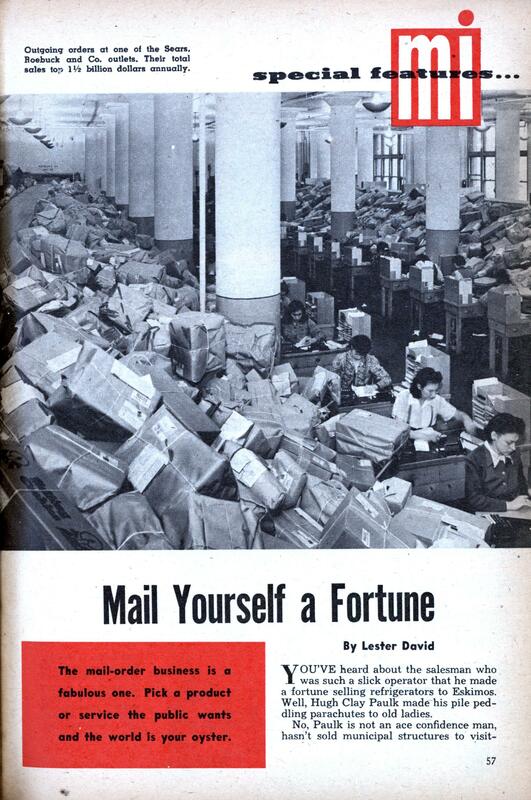 Of the first “so-many thousand” buyers of Success Without Soil, exactly half sat down and wrote him a letter, he reports. He includes long, enthusiastic passages from one Walter X. Osborn, who, upon release from a Japanese prisoner of war camp, had settled down in the Philippines and established what he called a “productive chemical farm.” Dad thanks readers for their positive letters, seems stung by one writer who criticizes him for being too technical, and pleads with readers to number their questions, keep a copy of what they asked, and be clear and exact about what they wished to know. Your book and everything was fine but I raise rabbits and arthritis is giving lots of trouble. Now I don’t understand why it wouldn’t be a good idea to feed your Nutrient Formula and everything directly to them so that the fur would be better. Also I could save money this way. Besides, I want to go and set up my business in Florida but I don’t know what effect it will have on my rabbit work but it should help the arthritis and everything. What do you think? I had a friend that moved there once but he won’t write me about it. Please answer at once as I must make plans and everything. Romance & memoir flicker in Dad’s how-to book. The first edition of Success Without Soil is dated August 10, 1948, the birthday of my mother, Rozelle Rounsaville, whom my father had hired as his secretary the September before. She must have been different from anyone he knew in southern California’s party circuit. A five-foot-two redhead, Rosie had grown up in a family of ten children in the sweltering country town of Atoka, in southeastern Oklahoma. Mechanix Illustrated article mentioning Dad’s business. But by then he’d saturated the market—eager hobbyists and modest-scale farmers—and his Nutrient Formula business was wilting. Dad was soon pursuing a new dream. He and Mom bought a cattle ranch outside Hemet, California, where my sister, Meg, was born in 1953; I followed in 1955. When I was about two he settled us on another cattle ranch, in Leesburg, Georgia, having concluded that the rainy southeast was more viable for a grass farm than the California desert. Still unable to earn enough income from cattle, he moved us when I was almost six to Florida and went to work at the Kennedy Space Center. In retirement, he started a successful nursery. 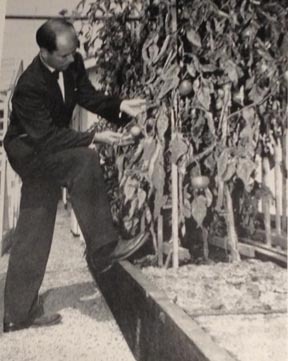 Hydroponics never has seemed to achieve its postwar promise in America. I suppose that’s because we’re a big country, still with more land than we know what to do with. 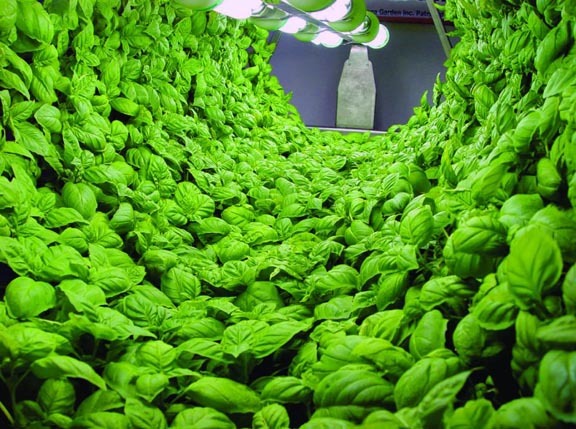 And hydroponic growing is intensive, and associated with greenhouses, which are expensive. Probably another factor is America’s cheap fuel policy: a grower in the Midwest can’t get a premium for early or out-of-season hydroponic tomatoes when they’re being trucked cheaply from fields in California and Florida. Hydroponics, I’ve noticed, retains its allure for marijuana growers, who for obvious reasons often want to grow their crop indoors. Dad was value-neutral as far as methods and information went, so when I was a kid our house in Satellite Beach, Florida, was awash in literature with clashing philosophies. We still received the mainstream Progressive Farmer, which I found boring, but also got a quirky grassroots how-to rag, the original, on black-and-white-newsprint, Organic Gardening and Farming, along with the fun Countryside & Small Stock Journal. Later in the 1970s Dad subscribed to The Mother Earth News, a counterculture upstart that he’d learned about in the Wall Street Journal. Then we got the coolest pre-Internet resource ever, Stewart Brand’s The Whole Earth Catalog. On Dad’s bookshelves I found the four volcanic farming memoirs of Ohioan Louis Bromfield, who wrote rapturously about soil and mystically about the glory of humus. So I grew up absorbing a very different agricultural ethos from that espoused in Success Without Soil. Dad’s romantic farming adventures, his losses, and his flood of alternative reading material helped forge me as a boy into an agrarian dreamer with organic leanings. Proud of Dad and his book, I’m still doubtful that there’s truly such a thing as success without soil. This started as a basic review or account of reading my father’s book from start to finish for the first time, but I ended up explaining a bit more. My father, his farming, and the scarring effect on him—and therefore on me—of his father’s suicide constitute a major thread in my Shepherd: A Memoir, to be published in 2014 by Michigan State University Press. He’d have tried to monetize blogging, Beth! He’d be amazed and pleased, though, to see his book available all over the internet. I agree—your dad is fascinating, as is his son. Two things: First, when my book came out, I forced my daughter to read it. :-D I can’t believe you waited so long! Second, my neighbors are gardening in straw bales! It’s really interesting. They’ve sprayed the mix with vinegar and something else to kill whatever might linger, and then they plug plants into it. The “soil” breaks down inside and feeds the plants. If it works, they’re going to do it all over their yard, mostly because it’s cheaper than soil. And we’ll do it, too! Yeah, well I skimmed it a LOT. I first heard about straw bale gardening in Organic Gardening and it seems to have two great virtues: suppression of weeds and importation of organic matter, the key to soil fertility. My father too was a gardening buff who tried every new thing going to grow his vegetable garden and his roses. I think there was something about that generation of men, coming out of WWII, opportunistic in a relatively good way which was seen as the source of American progress and success, that kept them always reaching for the next incredible solution to their problems. And I think we are more skeptical now, and who knows if it’s to our good or not? Thanks for sharing about your father, Richard; it was quite a read! Thank you, Victoria. The other thing about that generation was that so many were drawn after the war to what growing things represented: peace, security, and abundance. They’d experienced disruption and dependence, and many had seen horrible things as well. Lovely portrait of a fascinating man. I couldn’t help contrasting him to my own farmer father, who used the methods nine generations before him had used on the same land. How he loved limestone soil. How skeptical he was of any untested method. He admired entrepreneurs who took big risks, but he hated debt. Also an introvert, he would never have written a book. However, he left me a legacy, as your father has done, that has influenced almost everything I have done or written. I see his influence, balanced by your mother’s, in your work also, Richard. Thanks, Shirley. I did get gifts from both my parents—Mom was the storyteller, for one thing. I sometimes wonder how Dad would have fared if he’d been born into a stable, farming family. Aviation and agriculture were his twin, clashing loves. Agree with Shirley on your father’s influence on you, Richard. He really sounds like a character. You and I were both born in ’55. I imagine many of our generation grew up with farming and war stories. He spent his life traveling after the war. But when he was dying of cancer, he planted tomatoes (in dirt) and was downright joyous when he showed them to me. Absolutely fascinating. Just wondering–do you touch on any of this (your father’s gardening, its influence on your, your reaction to it) in your memoir, or is this a whole ‘nother story? Your instincts are right, Tracy Lee. My Dad turned out to be a major thread in my memoir. I had intended this as a simple review, but because I’d written so much it crept in. I’m glad to hear that. I felt there was so much to explore there. It raised quite a few questions for me about what we learn from previous generations–why we change or modify or discard what we’ve learned, while coming to terms with the essential trans-generational wisdom we should never discard, doing all that sifting while maintaining respect and honor for parents, if for no other reason than because they are our parents (but it sounds as if you had plenty of reason in addition to filial obligation). Interesting, complex stuff. Some elusive “something” about your post reminded me of the thing in Theodore Roethke’s poems that moves me. Very insightful. How nice to be compared to Roethke! Thanks, Tracy Lee. I agree with your feelings about parents and their gifts to us and hope in the book my love for my father comes through along with my admiration—and of course my frustration. My father was scarred when he was 14 by finding his father’s body, post-suicide, a trauma that rippled through Dad to me. Neat! Where did you find the book, Denis. Where are you located? I’m so glad the book had an effect on you, pleased you, and Dad would be.